In simple terms, quantization is a production technique you can use to make your imperfect timing, perfectly in time. 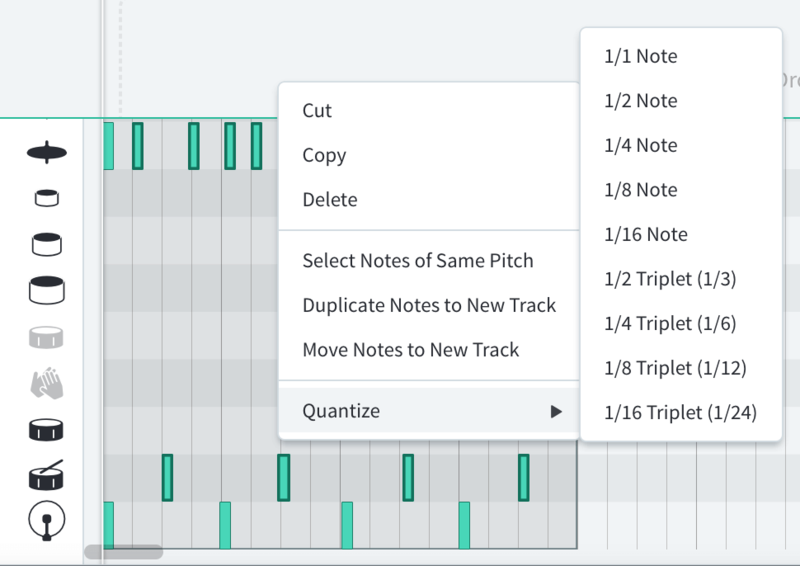 When you quantize a note, or a group of notes, it snaps the notes to the “grid” so all the notes land exactly on the beat and/or the subdivisions. When used properly, it can be a powerful tool to iron out mistakes, as well as make your production processes faster and easier. Listen to this simple drum beat. You can clearly hear timing imperfections in the snare. Now, the beat has been quantised to the ¼ note. Listen to the difference! 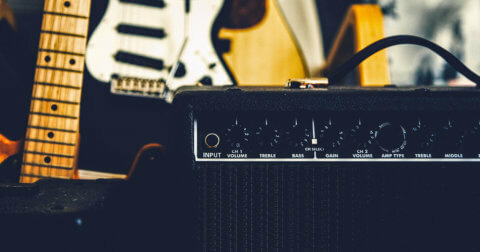 Quantization can get you ultra-tight grooves and save you valuable time from having to re-record a part, but like with many techniques, it can be misused. 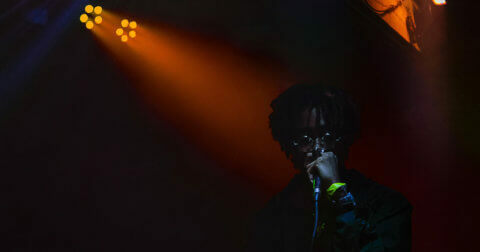 Having a beat that is perfectly in time can be less “human” and can result in a rigid, lifeless piece of music. Some genres actually benefit from imperfections. In funk for example, the snare is often deliberately played ahead of the beat, which adds a distinctive groove to the music. The ride cymbal in jazz music is supposed to be played slightly offbeat too. So when do you quantize? 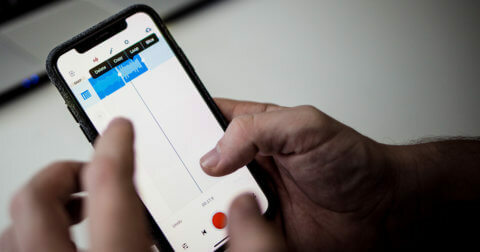 As a rule of thumb, if it isn’t broken, don’t fix it – if it sounds great to you already, it probably doesn’t need quantization. We always recommend trying it out and comparing one against the other, and making a judgement on whether it positively, or negatively affects the overall piece. When you record using Virtual Instruments on the BandLab web Mix Editor, you are recording your tracks in MIDI. Recording in MIDI has many benefits, one of which is that you can move the notes wherever you like, after you’ve played them in. Double click on the track you just recorded and this will open up the MIDI Editor. Here, you can see each individual MIDI notes and where they are in the grid. Go ahead and select the MIDI notes which are out of time, and right-click. You’ll see a drop-down menu and the option for “Quantize”. Mouseover it and you’ll see a “1/4 Note, 1/8 Note, 1/16 Note…” which is how much you want the note quantized. In simple terms, if you choose 1/16, all your notes are moved to the nearest sixteenth note. If you choose 1/8, all your notes are moved to the nearest eighth note and if you choose 1/4, all your notes are moved to the nearest quarter note. Tip: Listen to and double-check your track after you’ve quantized it. If a note is played more out of time than you thought, your note may have moved to the next quantization point. To correct this, simply select the note and manually move it to where it should be. 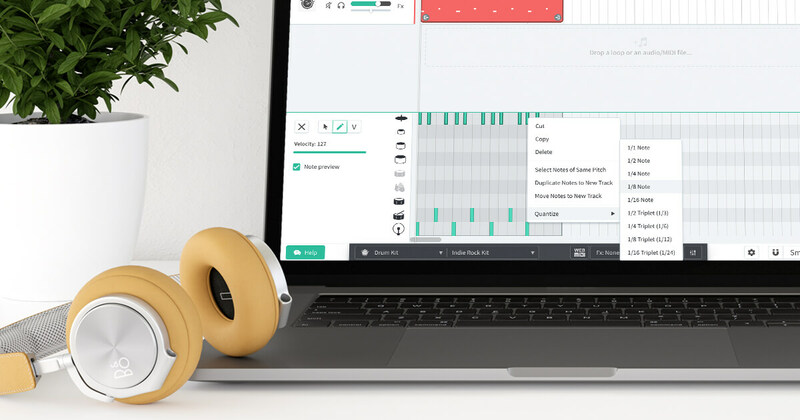 The BandLab Looper is our in-built beat creation tool that uses “real-time” quantization. With the Looper, everything is in time automatically, no matter how you play it in. Go ahead, try tapping away and try to go out of time – no matter how imperfect your taps are, the music’s timing will always be perfect. Great for anyone who needs to get beats down quickly, or whatever stage you are at musically. 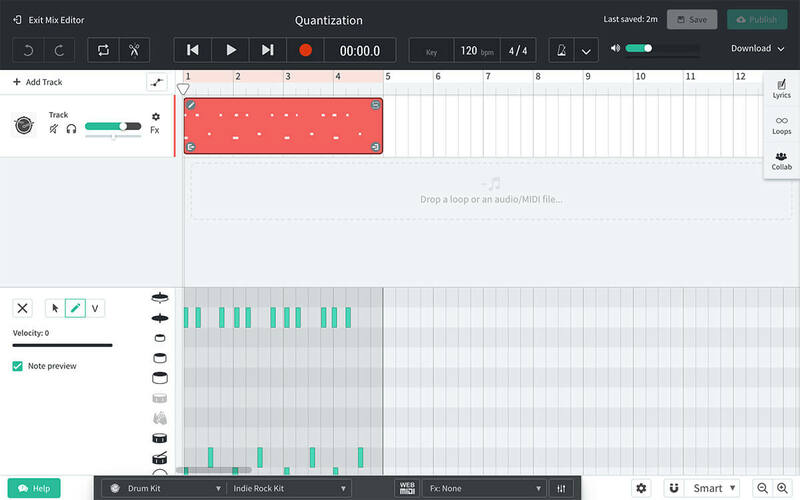 Now you’ve got a better understanding of quantization and keeping time, start by making music on the Virtual Instruments on the web Mix Editor. Or if you want to dive straight in to making a beat instantly, start with the Looper, which is available on both the iOS and Android apps.